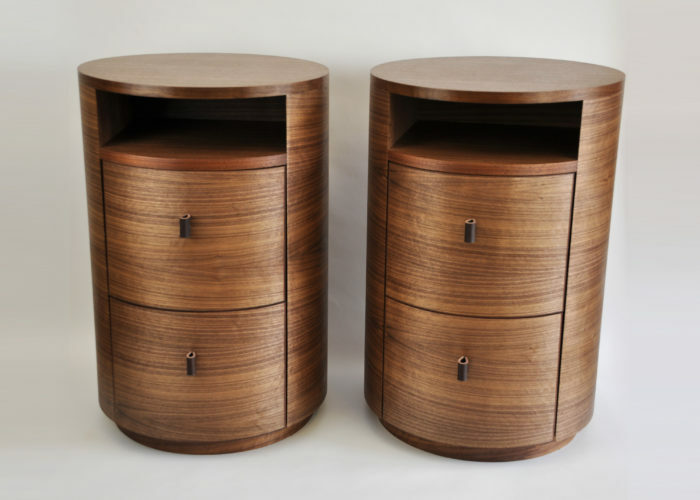 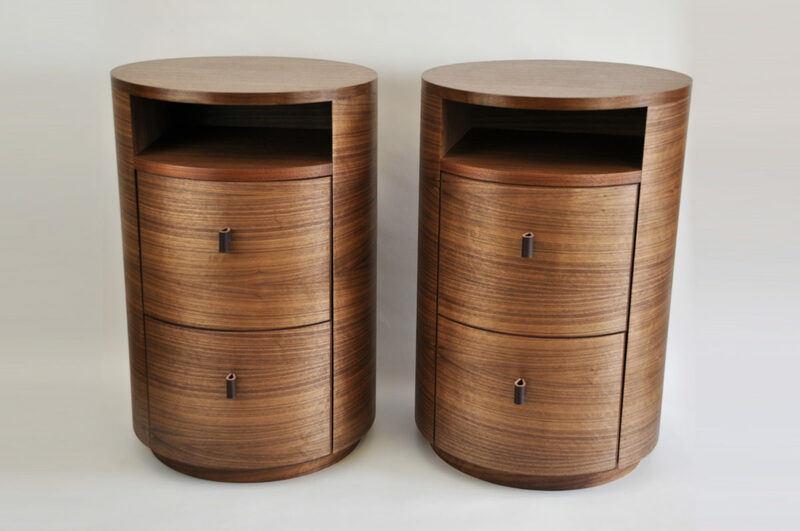 A pair of bedside tables. 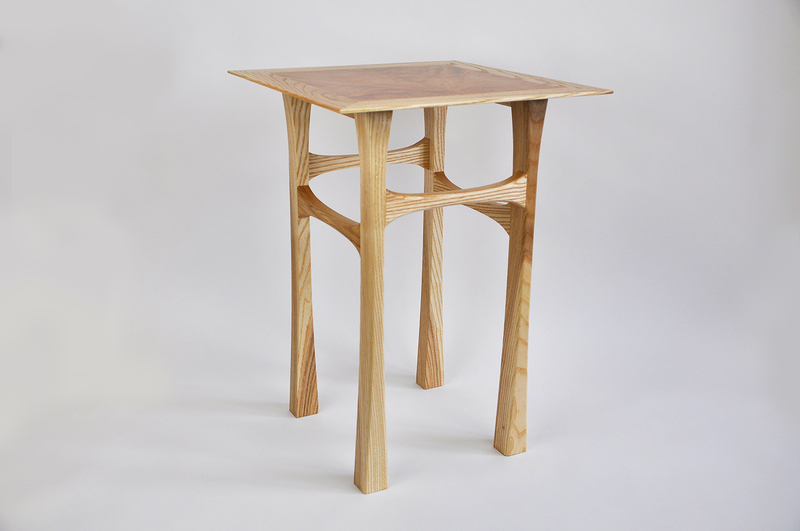 For this commission the interior designer was clear on the circular simplicity of these tables. 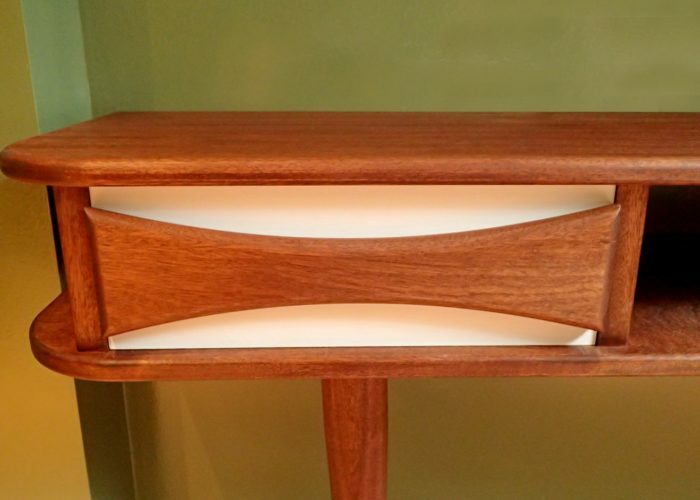 They had to hold a lamp, remote and books, with the open shelf the optimum size to fit a laptop computer. 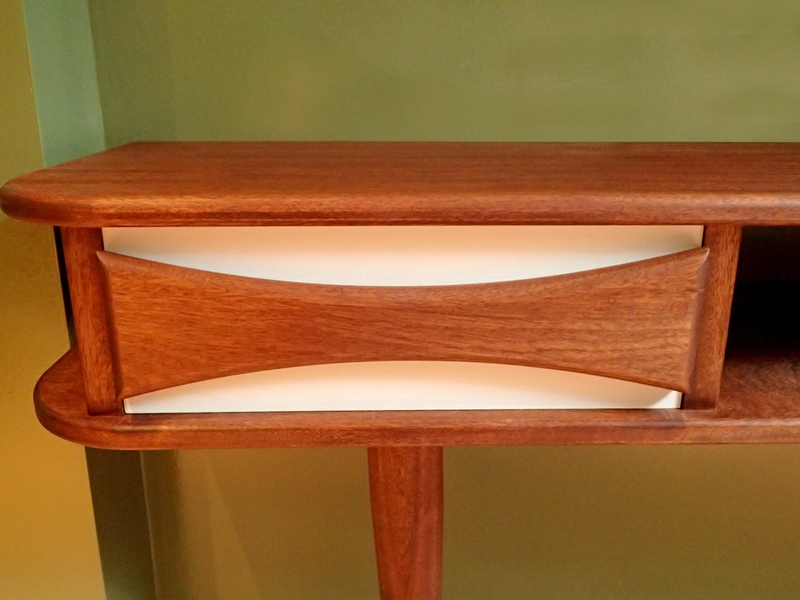 A side table with integrated LED lighting. 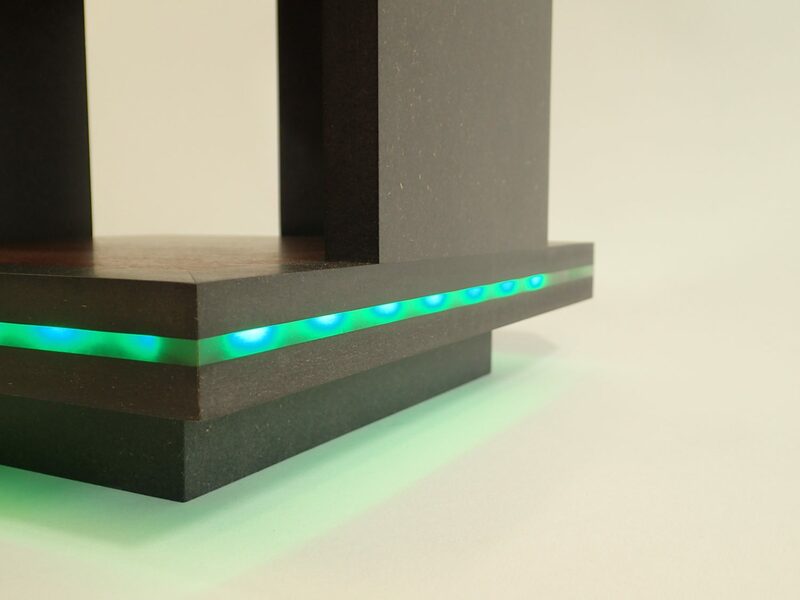 Sandwiched between two layers of grey Valchromat, an acrylic strip diffuses ambient light out into room from the top and base of the piece. 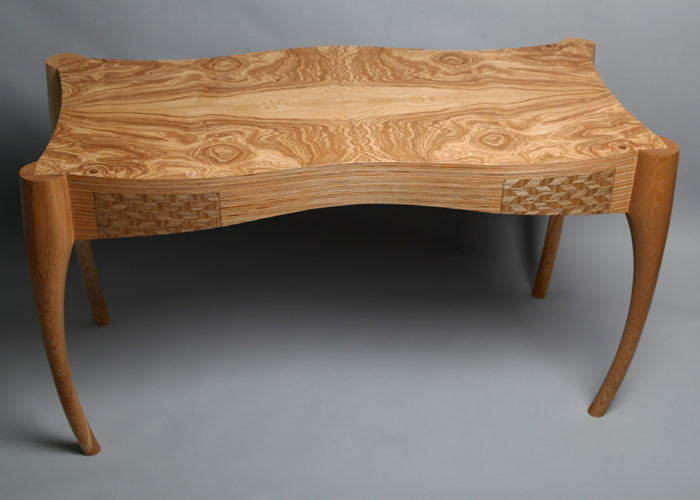 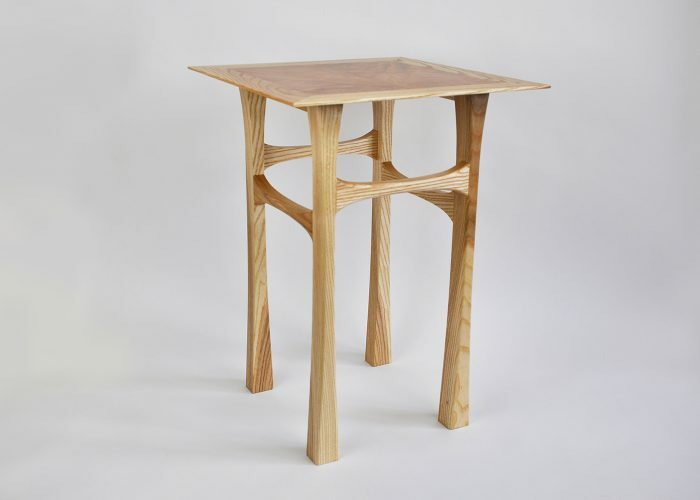 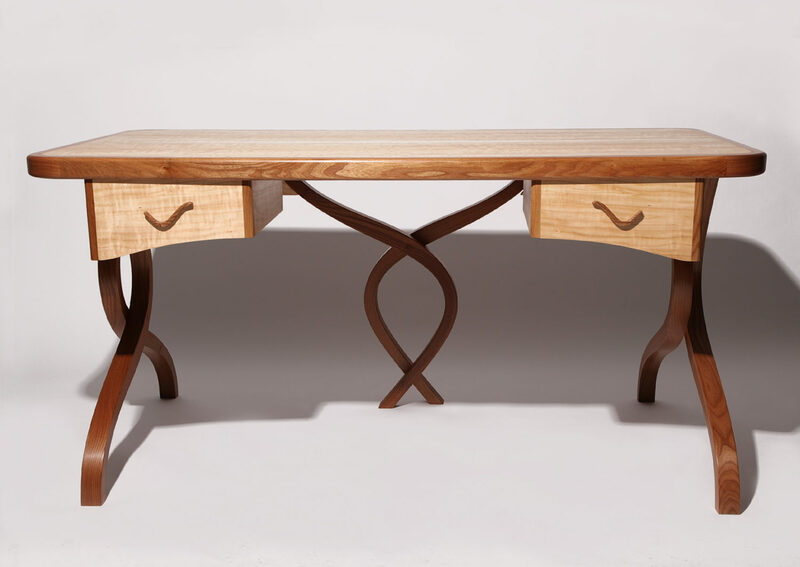 The superb bending properties of English elm make the implausible possible with this desk. 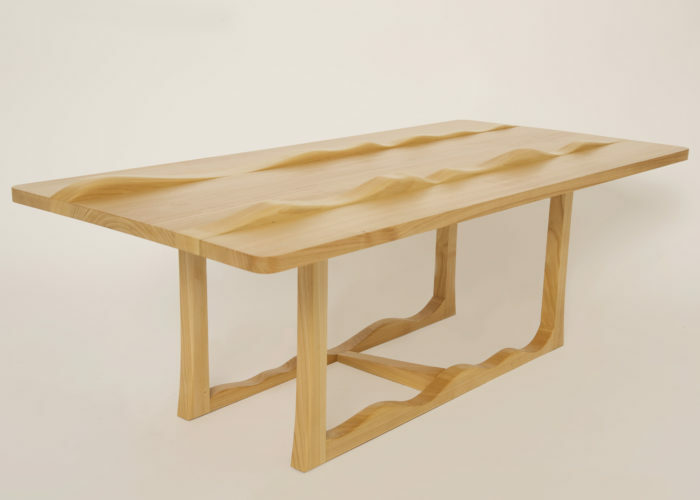 Two inch thick blanks of timber were steam bent six times over to create undulating forms which entwine under the desk’s figured aspen surface, complete with steam bent corners. 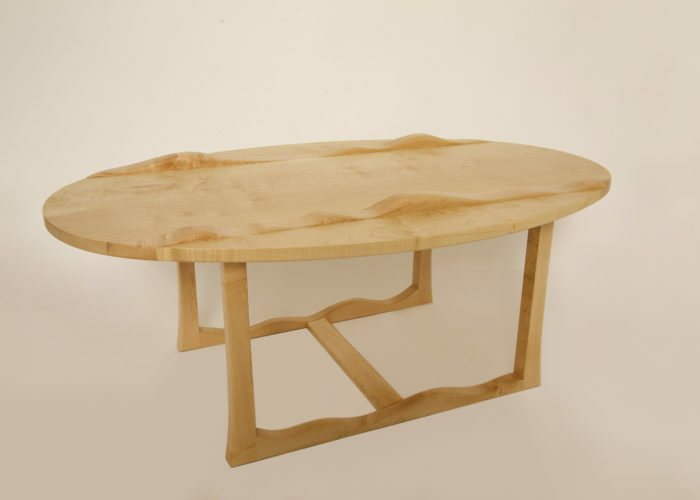 The third and final coffee table in the series; this piece is made from French cherry, which is lighter in colour than its transpontine counterpart, and is wonderfully sleek to the touch. 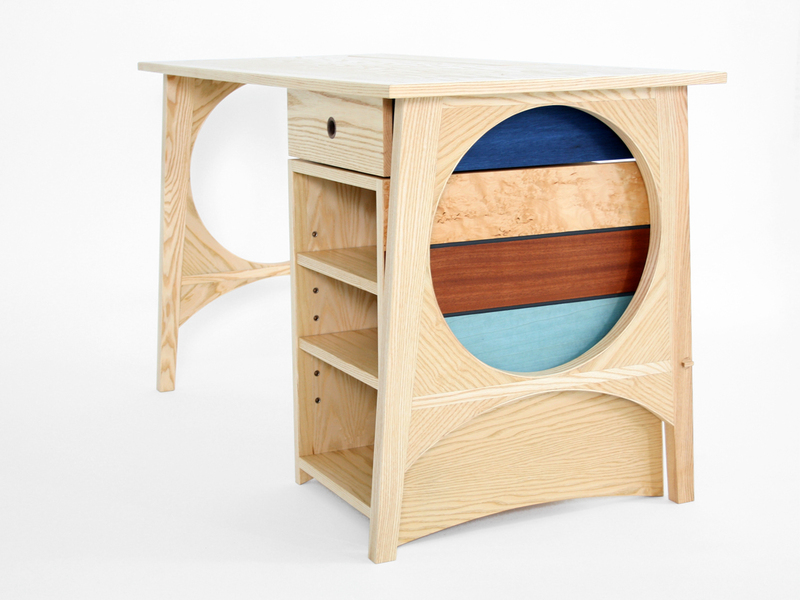 A contemporary take on the traditional nest of tables. 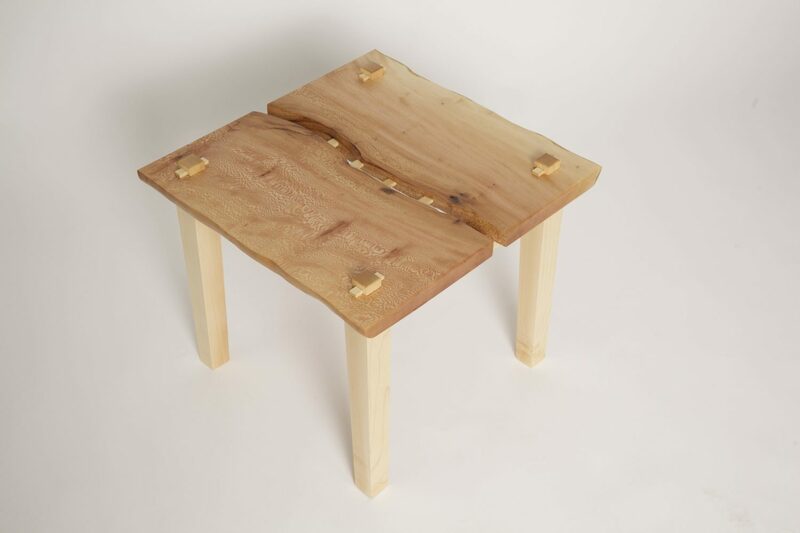 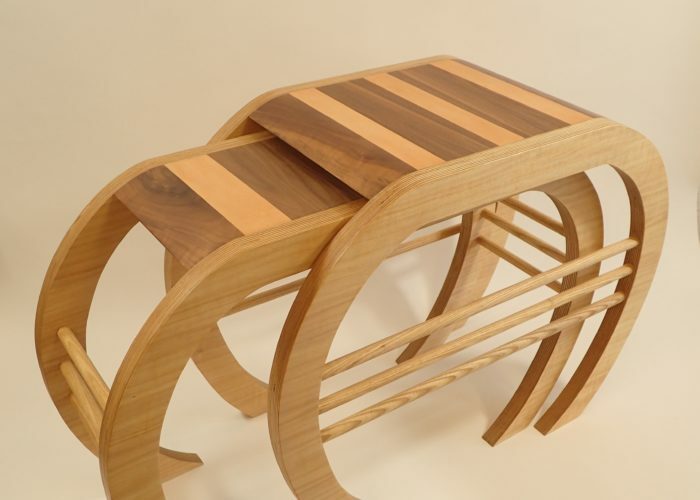 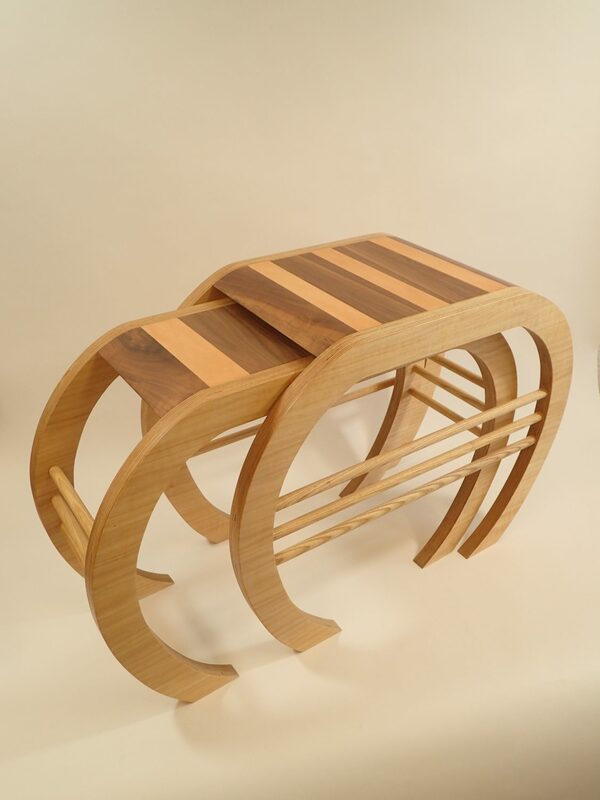 Instead of pulling out, the smaller table slides into the side of the larger, creating a cage of legs and ash dowel. 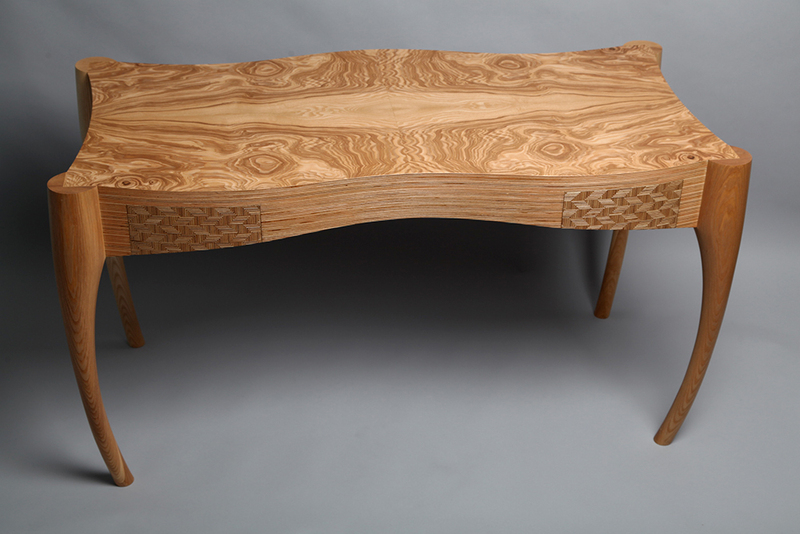 A coffee table to extoll the virtues of English sycamore: a timber creamy in colour, full of wonderful, swirling tight grain and ripple. This coffee table features carefully selected boards of varying thickness and from them creates a landscape. 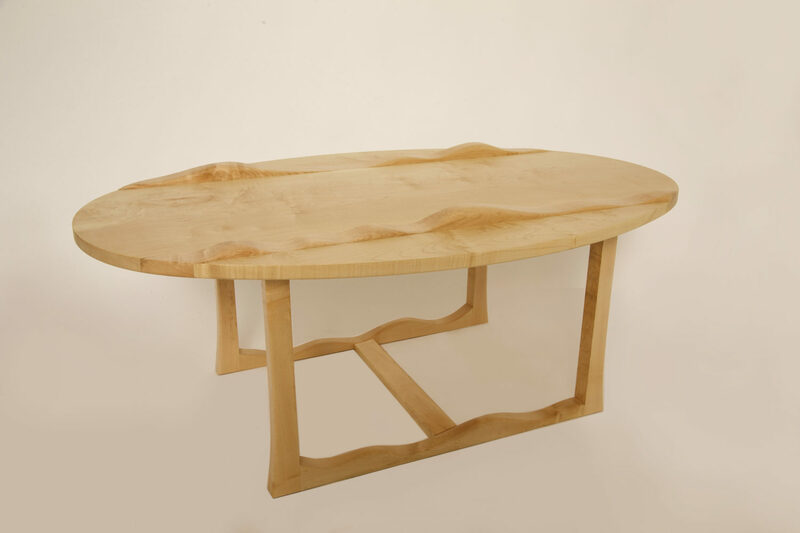 A board of cracked London Plane guided this coffee table into fruition: working with the timber invariably proves to be the best path. 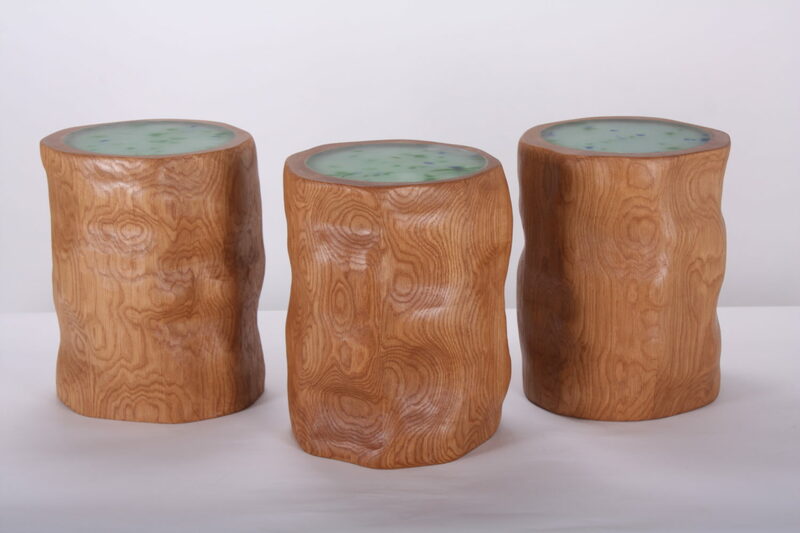 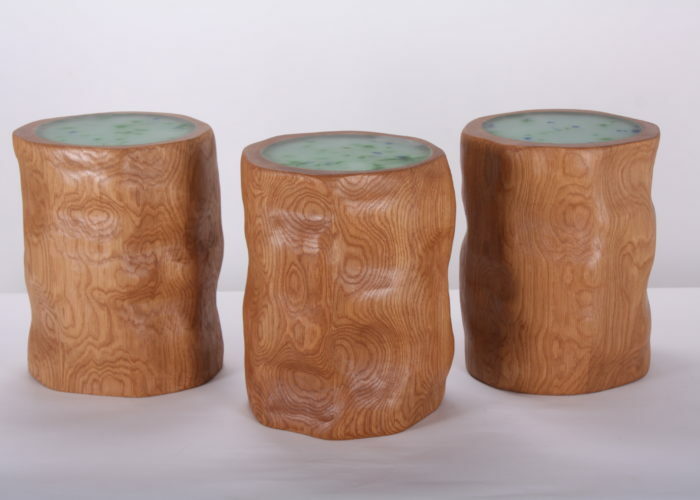 Three oak drinks tables commissioned to reflect the rough, organic shape of a log. Each table is fitted with a bright 20w LED device, concealed in the hollowed-out inside, and has its own rechargeable power supply.